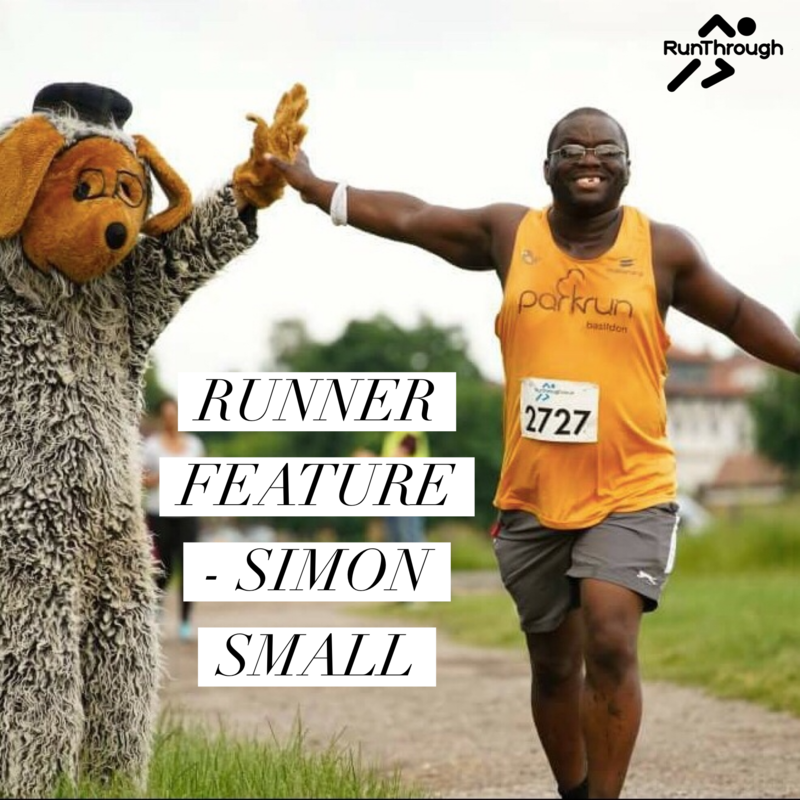 This weeks runner feature is RunThrough regular and Season Pass Holder Simon Small. Simon has never failed to bring a smile to every race he attends and has come such a long way during 2018, he can now proudly say that he is a marathon runner. We asked Simon to share his story with you all because we thing it is worth sharing and could definitely inspire a few of you. Having my Fiancée suddenly pass away in August 2012 left me numb to life. Even when I went back to work I felt like I was just drifting along with very little direction, purpose or desire. As the months went by, I became more withdrawn from life, barely leaving home apart from going to work. By the end of January 2013 I decided I needed to start to make some kind of change, one of these changes was to quit smoking which I did cold turkey. In April 2015 I had to be off work long term due to an on going eye condition (Keratoconus), and severe damage to the surface of my left eye which would required me to undergo Partial graft. During my time off, I became more concerned as to whether I would be able to return to my current employment, or even whether I would be able to work at all. I went through so many sleepless nights wondering how I would cope if I lost my job but due to this condition, would I be able to get another employment. So to clear my head I went for a walk to my local park, after walking along the path surrounding the local sports centre I decided to run around it once and although I was left breathless afterwards I felt much better about myself so I continued to come to and run around the park twice a week until the operation in late October. 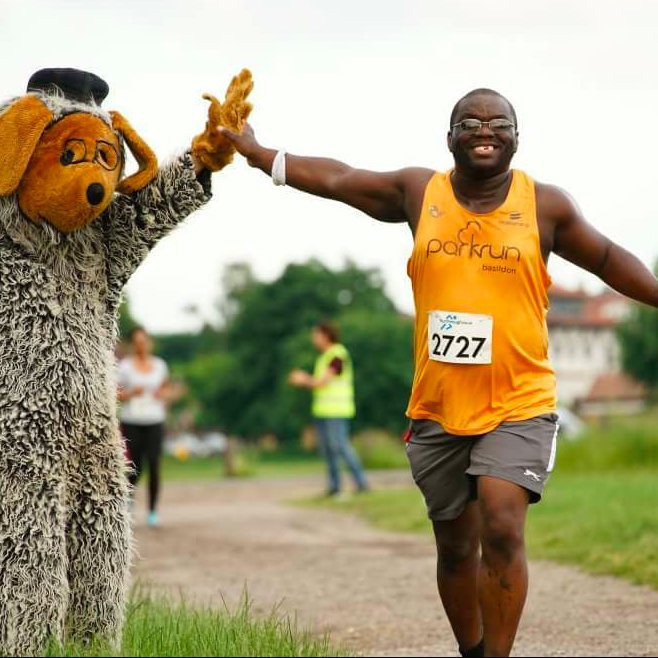 It was in Early November 2016 I was introduced to parkrun (Basildon) which I found enjoyable then soon after I ran at my local Christmas running event for Haven hospice at Wat Tyler park in Basildon and also Southend Santa run (5mile) and I have not looked back! Since I began I have completed numerous runs including 23 Half marathons with a Personal Best of 2:11:37 and I have also run under 60min 10ks at Battersea park in April 2018 with a PB of 57:32 and getting my second fastest 10k at Crystal palace of 59:04 in May. I was speaking to my friend after running Wimbledon Common Half Marathon and I told him that I had done the equivalent of 8 marathon distance, to which he asked why you don’t run a marathon? Up until this point, I had not considered taking on such a challenge, but decided to at least do the training for it and I would decide whether to do one at a later date. The training for the marathon was a challenge because of work and family obligations, doing 12hrs shifts that switches from days to nights, plus travelling at least an hour to and from work was a drain on my motivation to go do the long run necessary to prepare for a marathon. Plus running in the summer heat is no picnic, but with a lot of encouragement from fellow runners I preceded to endure, either running late after I got back from work or in the way to work for the shorter runs, gradually increasing the distance from the 13 miles to 20 miles which was when I committed to take on a full marathon in September. Leading up to and on the day of the marathon I was not as nervous as I expected to be and I just kept telling myself take my time and break the distance down into 10 kilometres sections and that I was in good company on the course and no matter what, cross the finish line! The fact that I completed a marathon still amazes me, looking back I would never have thought that I would have the dedication, motivation, determination and endurance to take on and accomplish such a feat. At this moment in time I am in training to get my 10k times down to 50mins and more marathons are certainly on the agenda. Also looking at taking on some obstacle course racing. Although I have no life goals or big picture plans at the moment, I am happy with how things are and with just setting smaller goals and learning how to enjoy life one day at a time!